Unlike cat memes, rick-rolling and cyber warfare, infographics are among the more interesting and useful things the Internet has brought us, and now we have a new one about the incredibly potent batteries that power each of the cars on the FIA Formula E grid. If you not familiar with it, Formula E is the world’s first professional racing series powered exclusively by electricity, and now entering its second year, is beginning to find its footing, with top-flight drivers and an impressive lineup of teams, including Richard Branson-owned Virgin Racing. All the cars are identical (for now, but more on that in a bit). The Spark-Renault SRT_01E has an aluminum and carbon-fiber monocoque chassis constructed by Dallara, a drivetrain developed by McLaren and a battery pack developed by Williams Advanced Engineering, a subsidiary of the Williams Formula 1 team. The battery and electric motors produce 270 horsepower, or 200Kw, which is enough to power an average-sized house for three days. Click through to the infographic for more geeky facts about the Formula E battery. 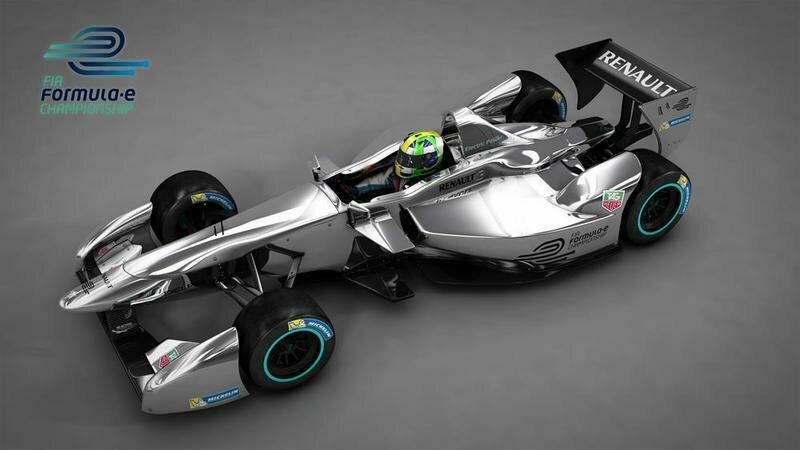 Since its inception, Formula E has been a spec series, meaning all the cars are identical. That’s set to change for the second season in 2015-2016, when teams will be allowed to develop their own electric motors, power inverters, gearboxes and cooling systems. Regulations will open up even more for the 2016-2017 season, when manufacturers will start developing their own battery packs. Formula E drivers currently have to switch to identical cars mid race to go the whole distance, so the objective for the next-gen batteries will be to last for the entire race distance on a single charge. Nelson Piquet Jr. won the inaugural season by just one point over Sébastien Buemi, and with new races in Paris and possibly Mexico City, the second season of Formula E is expected to be just as exciting, if still a bit more eerily quiet than internal-combustion motor sports.